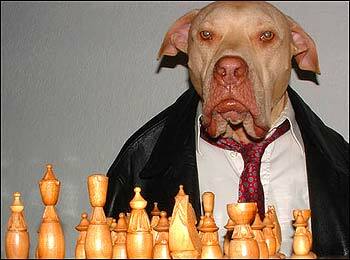 A man went to visit a friend and was surprised to find him playing chess with his dog. He watched the game in amazement for a while. “Oh, he’s not so smart,” the friend replied. “I’ve won four games so far, and he’s only won two”. « Viaje a Dublín, junio 2010. LOL. I can´t stop laughing!!! Give us more!! !